Established in 1972 as a family-owned small blueprint shop. For more than 40 years Eastern Engineering has been providing reprographic services in the Indiana area. They have come to realize the value of making decisions based on merit and not on profit. Today, Eastern Engineering is WBE certified and remains a family owned firm and has grown to include sales and service for wide-format printers and equipment, supplies, and printing services combined with a digital plan room and eCommunication construction software. In essence, they believe that Eastern Engineering can offer you a unique and complete solution to your needs that no other company can provide. With 5 locations in 3 states. Three Indiana offices, located in Fishers, Muncie and Fort Wayne; Ohio office in Toledo and Detroit, Michigan location opening in summer 2018. All locations are authorized dealers for Canon, KIP, OCE and HP wide-format printers and equipment, supplies, color printing services and web-based tools for the AEC industry. Providing eDistribution™ digital plan rooms and eCommuniciation™ construction management software can help streamline any project, big or small, for architects, engineers and construction contractors. Eastern Engineering prides itself on providing their clientele with an optimum level of customer service through attention to quality, efficiency, and professionalism. The success Eastern Engineering has achieved in this competitive market hinges on giving their absolute commitment to provide customers with quality, full-service solutions for all their printing and equipment needs. This is why Eastern Engineering is the leader in sales and service for wide-format printers and printing services. Eastern Engineering began as a blueprint supply company, but it was one of the first companies in the United States to offer full service digital printing starting in 1993. As a technology leader, they were the first reprographics shop to bring an online plan room to Indiana with addendum tracking and real-time updates of plan holder lists, drawings and specifications in the year 2000. 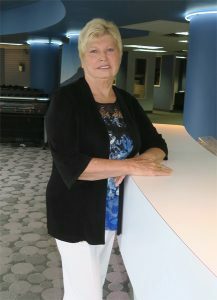 Founded by the Langdon family in 1972, Eastern Engineering is a WBE company, led by Mary Langdon, CEO. Mark Langdon, Eastern Engineering’s president, is an early adaptor to the newest technology including highspeed digital printing, electronic data storage, and cloud solutions for information management. He is well connected within the wide-format industry and is able to forecast the direction the industry is moving and to provide new technology before the demand is even recognized. Dedicated to architects, engineering’s and construction, Eastern Engineering offers every stage of the process, from printing in house, online plan room, eCommiunication and the newest wide format printer technology so our customers are also a leader in the AEC industry. “Change can be difficult but when change is embraced it can make you a leader in discovering solutions to new industry challenges,” Mark Langdon. As a family business we develop our business model around the needs of our customers. Many analysts have noted that family businesses that remain successful tend to be the ones committed to more than just profitability. This is especially true for Eastern Engineering as we strive to earn and keep our loyal customer base for years to come! You will also notice that our employees are a big source of pride for us as a business. All of our staff share the goal of making the customer happy. The long-term commitment among not only the Langdon family but also the employees. More than half of our employees have been with us for over 10 years. This allows us to have years of experience in the industry and years building strong customer relationships.